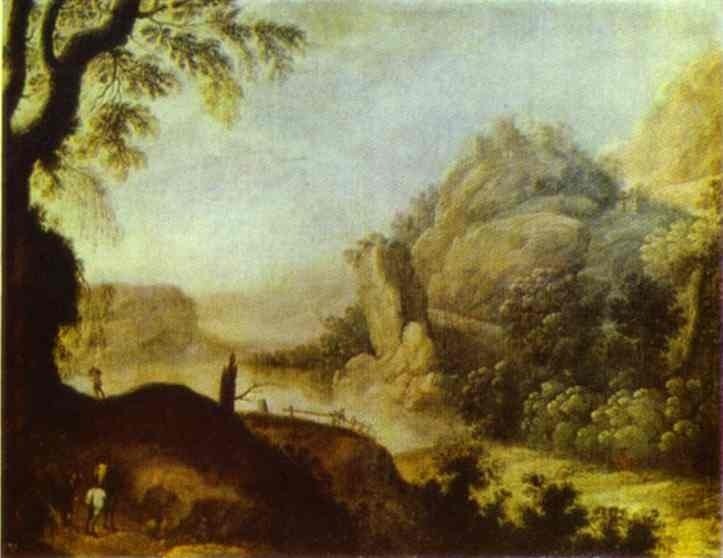 Murillo's paintings evidence a convincing naturalism similar to that of other major Baroque painters, notably Caravaggio, Annibale Carracci, Velázquez and Zurbarán. Although as a young artist Murillo was still evidenced by the dramatic chiaroscuro so often employed by the above-mentioned artists, as his style developed, the artist discarded the dark drama and sometimes painful realism of his predecessors in favor of light, soft, often sentimental sweetness. 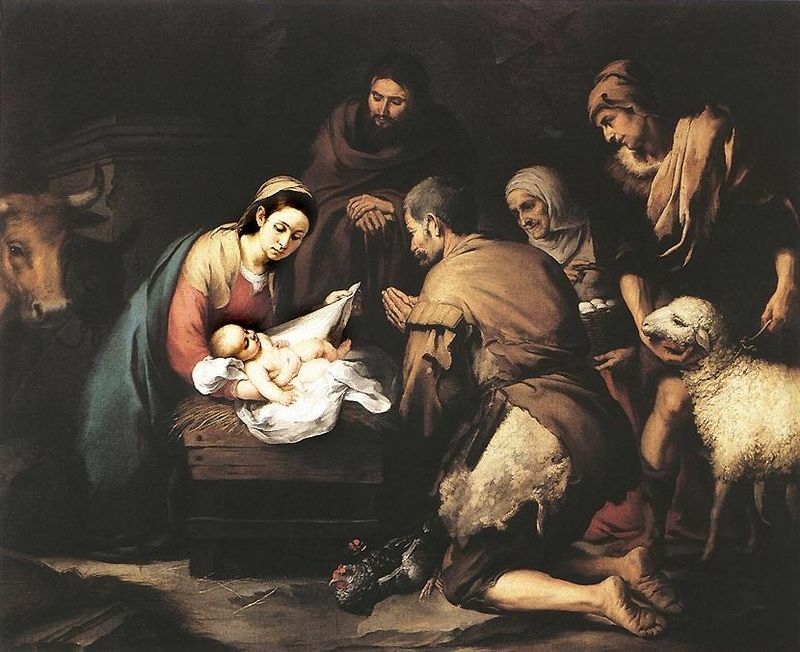 Murillo's early style bears the stamp of his teacher, Castello, and the then most popular painter in Seville, Zurbarán. Consequently, in these early years Murillo employs a strong chiaroscuro, heightened drama and life-like naturalism. These early works also evidence the compressed, abstract, stage-like space so typical of Spanish painting. In his early paintings, Murillo employs lighting techniques which he learned straight from the book of Zurbarán: contrasting a dark, relatively abstract background with strongly illuminated figures in the foreground. 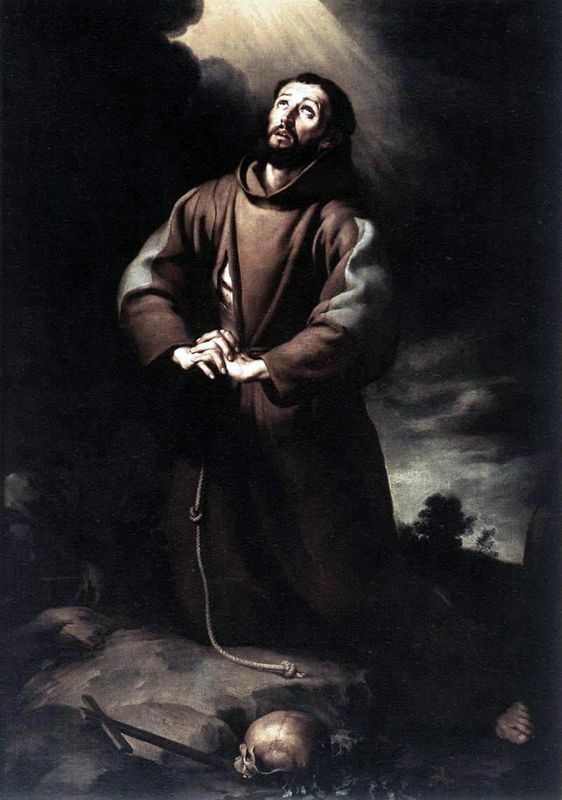 Observe Murillo's St. Francis of Assisi at Prayer: although this work is already somewhat softer and brighter than the harsh asceticism of Zurbarán's paintings, it is also far darker than the paintings Murillo would execute in the future. 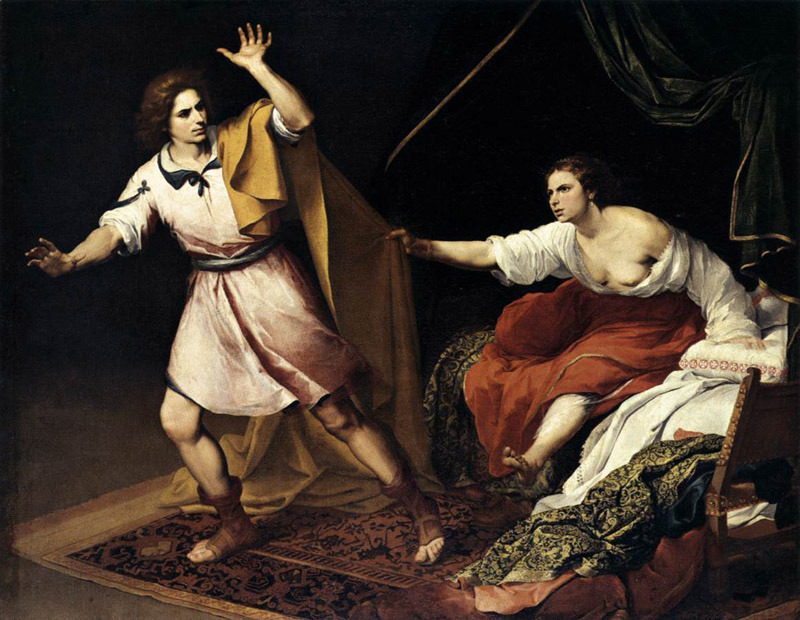 Intense chiaroscuro goes hand in hand with heightened drama, and in his early paintings, such as Joseph and Potiphar's Wife, Murillo has a tendency to emphasize the dramatic in his painterly narratives. Although the darkness and drama would slowly dissipate from Murillo's stylistic vocabulary, one lesson that he learned from his predecessors would not: naturalism. Throughout his career Murillo was known for his ability to paint the most life-like of faces and expressions and for capturing realistic details, such as dirt on the soles of bare feet (a lesson learned, of course, from Caravaggio). Murillo has particularly been admired for his ability to capture often fleeting facial expressions, especially expression so notoriously difficult to capture, the smile. Murillo's mature style evidences a syrupy sweetness most akin to the early pioneer of the Italian Baroque, Federico Barocci. By the 1650s, he had abandoned his early Caravaggesque chiaroscuro and the severity of Zurbarán in favor of unadulterated sentimentality. It was Murillo's trip to Madrid in 1658, however, that proved key in the evolution of the artist's style: while at court, he had the chance to see paintings by Rubens and Italian Renaissance artists, which taught him to use warmer tones, richer colors, thicker brushstrokes and brilliant highlights. This was the style that secured Murillo's status as the most popular artist in all of Seville, ousting the previously favored Francisco de Zurbarán from this coveted top spot. Compare Murillo's Christ the Good Shepherd from 1660 with St. Francis of Assisi from around 1650 (above). 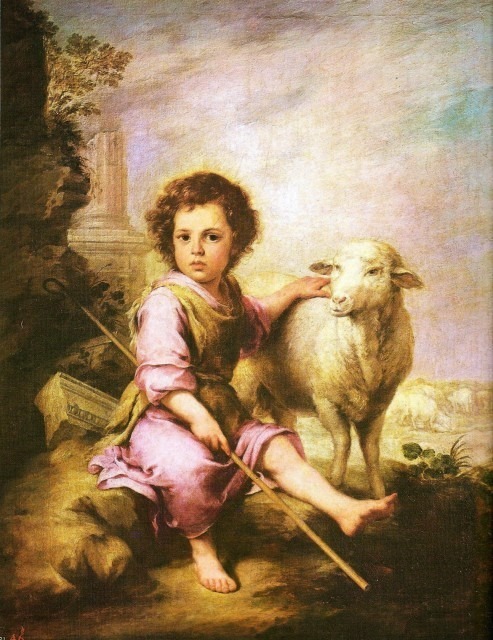 In comparison with the earlier work, The Good Shepherd is far lighter, both in tone and execution, with its soft illumination and palette of gentle pinks and blues. The major influence of Rubens on Murillo was the Flemish artist's dynamic, expressive brushstroke. From the beginning of the 1660s and continuing through the rest of his career, Murillo's brushstroke grows increasingly visible, fluid, and energetic. Although Murillo may have abandoned his youthful tenebrism, the artist never neglected to exploit effects of lighting whenever possible. 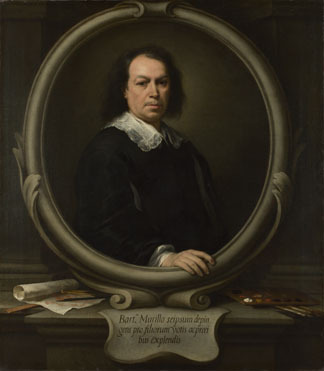 From the Italians, Murillo learned the technique of painting brilliant, dazzling highlights that imbue his paintings with a warm glow. Murillo's style continued to evolve to the very end. In his last decade of life, Murillo took Rubens's lesson even closer to heart: during this period, his brushwork became looser and more visible than ever before, sometimes even to the point that the canvases appear unfinished. Murillo also reduced his palette to the more sober hues of mauve, grey, brown, and carmine, making his late style more refined than in any previous period. Murillo's paintings in the 1670s are often referred to as "vaporous" in style, due to the artist's incredibly free, loose brushwork, which seems almost completely abstract upon close inspection. Observe the detail of the Christ child's face from Murillo's Adoration of the Shepherds of around 1665, for example: the brushwork in this passage is shockingly visible and close up the baby's features almost seem to dissolve in a mist of paint. Although he didn't slip back into the browns, grays and blacks of Zurbarán and Velázquez, Murillo did refine his palette in his later years. 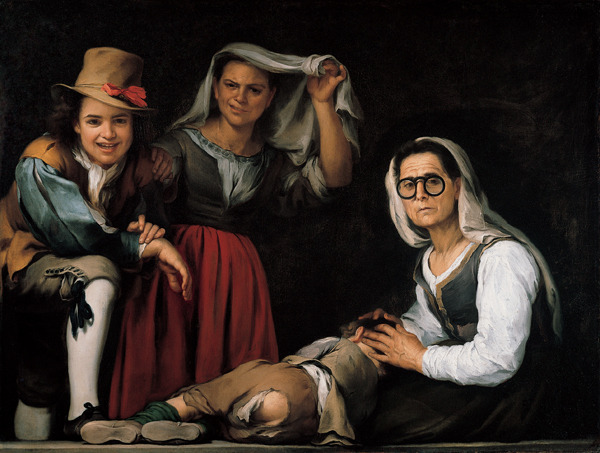 In comparison with the aforementioned artists, Murillo's colors remain far lighter and brighter, but relative to his earlier oeuvre, they are somewhat subdued. Murillo was most unusual for a Spanish painter in that, unlike Velázquez or Zurbarán, he was a prodigious draftsman, and a large body of his drawings still exist today. Murillo's painting practice was standard for artists of the Baroque period: the artist would first make a quick sketch of his future composition in pen or black chalk, then move on to more detailed studies in red and black chalk or ink wash in order to work out problems of light and shade. Murillo also executed several figure studies in preparation for his paintings.